It’s a condition affecting thousands of runners and the recovery can be frustrating and unpredictable. Part of the problem is that Physios and doctors haven’t yet mastered the perfect way to treat IT Band Syndrome. But, we’re getting closer! New research is uncovering more about the IT Band, and debunking old theories and assumptions. In this article, I’ll share the latest knowledge we have on IT Band Syndrome and what’s really causing your pain. Understanding the injury will empower you to treat it properly. It’ll stop you wasting time and money on treatments that don’t work. And most importantly, help you get back to running sooner. What Is The IT Band And What Does It Do? The iliotibial band (IT Band or ITB) is a strong, thick white tissue that runs down the side of your leg. Its job is to strengthen the connection between your hip and knee like a support beam. Without the IT Band, you actually wouldn’t be able to run. Your knee would collapse inward the moment your foot hit the ground. The IT Band also helps your hip move by giving your glute (buttocks) muscles extra leverage. 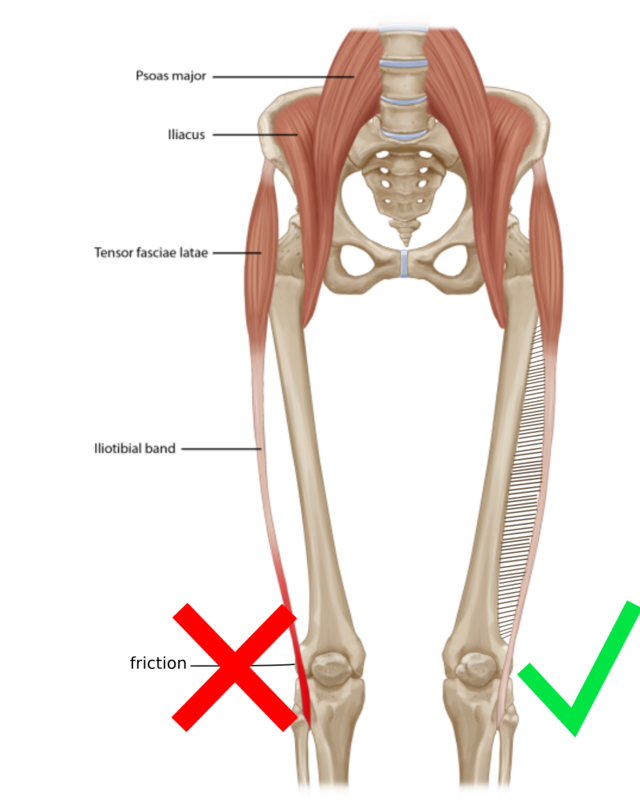 The glutes are strong, but they’re short and without the help of the IT Band they wouldn’t have enough power to move your leg. 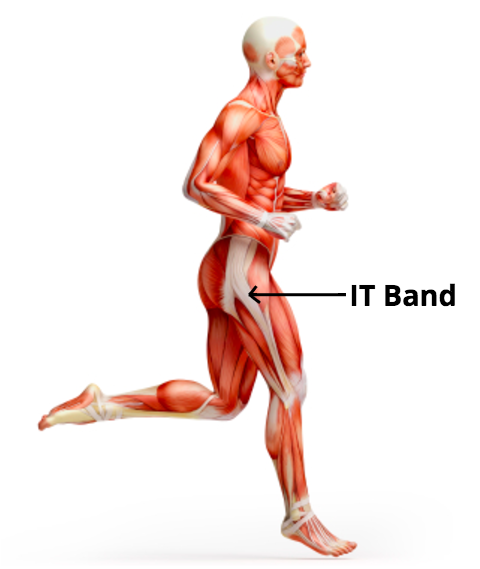 Although it’s a critical part of your anatomy, the IT Band is still a mystery to clinicians. That’s why a lot of research is being done to better understand how it works and what causes IT Band Syndrome. In the next few of sections, I’ll explain some the key findings discovered in recent years and why the treatment of IT Band Syndrome is changing. One of the most significant breakthroughs has been identifying that the IT Band is attached to the thigh bone the whole way down from hip to knee. Previously, we thought that it was only connected to bone at the top of the pelvis and bottom of the knee with a huge free gap in between. This may seem minor, but it actually underpins our entire understanding of IT Band Syndrome. If the IT Band was free to move around, then it could rub the outer bone of the knee as you bend and straighten your leg during running. This is what we used to think led to the pain and many people called it IT Band ‘friction’ Syndrome. But, since we now know the IT Band is actually firmly connected to bone all the way down, there’s no way it could be rubbing the outside of the knee. So the pain must be coming from somewhere else. In 2009, a group of surgeons removed tissues that lie underneath the IT Band in 36 symptomatic patients. They had excellent results in ALL the cases. They didn’t do anything to the IT Band itself, but all of their patients were back out running pain free within 3 months! These amazing results suggest that the pain wasn’t coming from the IT Band at all but actually something UNDERNEATH it. What exactly did the surgeons remove? They took out some fatty tissue between the bone and the IT Band. This ‘fatty tissue’ is called a fat pad and isn’t excess fat like you’d imagine. Everybody has fat pads and they are all over the body. Their job is to provide padding and lubrication around the joints. So, the new theory of IT Band Syndrome is that in some runners this fat pad underneath the band gets irritated, inflamed, and starts sending out pain messages to the brain. Because fat pads exist elsewhere in the body we already know that they are extremely sensitive and painful when bothered. The only way to stop the pain is to remove the pressure on the fat pad, stop irritating it and let it calm down. For some people rest, ibuprofen, and core strengthening is all it takes. Unfortunately for others this doesn’t work and the fat pad continues to hurt for months. I’ll delve deeper into all your treatment options in the next article. But for now, I want to explain the reason your fat pad got irritated in the first place so that you can better understand what’s going on and what’ll actually fix it. 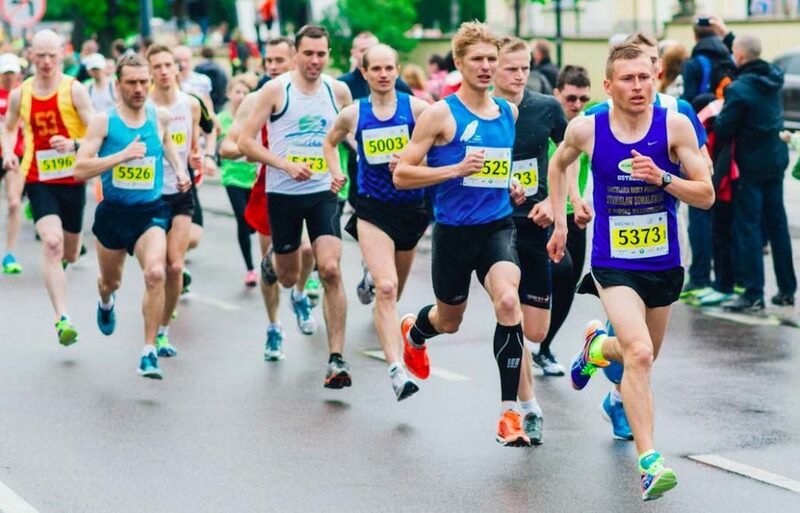 IT Band Syndrome tends to occur only in long distance runners. But, although it’s a running injury, running per se isn’t the problem. After all, only about 12% of runners are struck with it. In fact, they all have the potential to put excess stress on your joints and irritate the fat pad. So, who’s right and which one is it? A large study done in 2008 may be the best clue we’ve gotten so far. In this study researchers measured the strain cycle on the ITB during running and tracked it on 400 runners over 2 years. By the end of the study, some of the runners had ITB Syndrome which allowed the researchers to look at all the data and identify the patterns in the injured group. What they discovered was that the amount of strain didn’t matter, it was similar between injured and non-injured runners. However, the rate of strain – as in how quickly it came and went – was significantly higher in injured runners. In other words, they found that sudden changes in strain, even though the overall volume was the same, eventually led to IT Band Syndrome. The leading theory is that when the band is put through this rapidly changing strain more blood rushes to the area. As the arteries expand they take up more space and compromise the surrounding structures. The fat pad which sits underneath the IT Band gets squished, irritated, and after a while inflamed and sore. Let’s go back to the question of blame and answer what is causing the higher strain rate in your injured leg. High strain rate comes from sloppiness and unpredictability. A smooth, light runner will always have more stability and less injuries. So, what’s making your running sloppy? Are you fatiguing quickly and continuing to run with slack form? Do you have one hip significantly weaker than the other? Are you taking longer strides than you should? With good guidance and advice these things can all be identified and fixed. But, if you’re currently in pain none of that matters until you settle the inflammation. So, before you start trying to fix your gait, let’s look at what you need do right now to get out of pain and start recovering. Click here to read the next article and find out how to treat IT Band Syndrome.